Jean Martin’s infectious enthusiasm coupled with her deep knowledge of human resources lead Chief Human Resources Officers at some of the world’s top organizations to look to her and CEB for guidance on the critical problems keeping them up at night. As executive director of CEB’s HR Practice, Jean directs the research, business practices, and operations and together with the leadership team, sets the strategic direction for CEB’s HR research. Her areas of expertise span the HR spectrum and range from the future of the HR function to leadership to labor market trends. Specifically, Jean spends time working on issues relating to employee engagement, how companies can attract and keep the best employees, and how companies can seek out top talent globally and build out their global leadership bench. Jean is often asked to share her knowledge in larger forums and has spoken at venues such as the Gathering of Leaders, Wharton Women in Business Conference and the European Union. Jean also regularly presents to executive teams including Bombardier, Intel, Cisco, BBVA and Eskrom among others. In addition, her work has appeared in publications such as the Associated Press, Fortune, The Wall Street Journal, Bloomberg Businessweek and Human Resources Executive Magazine. Prior to CEB, Jean served as a special assistant to President Clinton’s Domestic Policy Council. Additionally, Jean was a Presidential Management Fellow serving as a Special Assistant to the Senior Vice President for small business/community development banking at Bank of America. Also during her time as a PMF she was project manager for microfinance and microenterprise development at the U.S. Agency for International Development. Jean received a Masters of Public Policy with a concentration in Economics and Finance from the Kennedy School at Harvard University and a Bachelor of Arts with highest distinction from the University of Virginia. Growing up as the daughter of a social worker and a teacher, I learned very early that leading successfully requires leading through the success of others. My leadership approach focuses heavily on inspiring and supporting talented people and then getting out of the way. By not “helicoptering” I have seen talented people rise to new heights and it ties up more time for my own creative contributions – the things that only I can do for the business. Working for former President Bill Clinton I learned similarly that if you give people full information about the context for the work and the goal you are trying to achieve, they will use their own smarts and initiative to get to better solutions than those you could engineer. Whether they be welfare program administrators or hospital workers or prison guards, when each person knew what we as leaders wanted to do, communities carried the ball further toward the finish line. In my career at CEB, I’ve learned to plant the flag of achievement on the most aggressive targets possible – as one of our executives put it, if you, as a leader, don’t frame real truly aggressive goals for yourself, everyone working for you will be less aggressive, causing the organization’s real potential to be undergunned. Key as a leader is to inspire, empower and direct, and-only if absolutely needed, dive in. How have your previous employment experiences aided your position at CEB? 3) My work has always revolved around persuading and influencing extremely senior executives whether they be heads of companies or Heads of State – therefore, excellence in articulating ideas, building business cases and communications is something I have focused on throughout my career and has been a key to my success. What have the highlights and challenges been during your tenure at CEB? 4) Witnessing many of my staff rise up into other senior roles within the company. Challenges have included creating new information platforms for regions like Asia, Latin America and the Middle East where cultures and histories make management very unique, and growing our sales and service capabilities to now include more hands-on application of tools and knowledge. Both efforts were highly rewarding in the end, but required fundamentally rethinking how we do business. For both men and women, I believe that work/life balance emerges first from having a strong definition and understanding of the values one plans to live by – for each person, these values and priorities can be different, but knowing and defining for yourself the full life you want to live and then living it is key to being truly successful. Knowing that family is a top value for me, I prioritize separating my time with my husband and three young children from my work time. Office work ends at 6:00 p.m. and dinner and bedtime are “no work” zones during which all calls and emails are deferred. When I am on the road, I FaceTime with the kids every day or show them pictures of where I am when I am traveling – they like seeing the sites through the photos I send and hearing my stories about what I am eating or doing and what the weather is where I am. During periods where travel and work is heavy, I try to make sure to reserve special time with each of my kids, my husband and my extended family where we can do things for just us and make sure that I am investing deeply in my relationships with the people closest to me. I think of it as “making deposits in a bank” ensuring that the balance of my time stays high enough even when work forces me to “make withdrawals” against my time with them. As with most working parents, for me caring for my family and myself means every day is its own journey and there is no magic formula. That said, how I spend each hour is a choice and I try to be extremely mindful of each choice I make since, with a family, the tradeoffs are high. I have found that being a working parent is the greatest management challenge I have ever faced and I have learned the most from it as a result. What research has CEB been recently working on? 3) The Future of the Corporate Functions – given our privileged position managing the largest networks of C-suite executives, we have been able to study the continuum of practice within each function and map the overall direction we believe Finance, IT, HR, Marketing, Sales and other functions will take in the coming decade. The biggest issue for women in the workplace today is the fact that many workplaces and many jobs – especially senior jobs are not designed in a way that is attractive to women. A recent CEB study showed no difference in women’s abilities to handle senior roles, there were dramatic differences in whether women wanted these roles, with as many as 30 percent saying they did not aspire to the roles of senior executives above them. Part of this is the work-life balance question and the fact that many of the senior roles are not dual-career or family friendly. Also interesting was the study’s conclusion that women prefer more collaborative and constructive work environments and that their perception is that many senior positions exist within senior teams that do not support constructive collaboration. Because these senior roles are the stepping stones to Board positions, we will not solve for the dearth of women on Boards until we make senior leadership roles in corporations more appealing to women. Until more women are in senior roles and can contribute to changing these roles to make them more attractive to a broad group of candidates, we will struggle to attract women to top jobs. I am appreciative that Sheryl has raised women’s issues again and energized the discussion around women in the workplace – she has ensured women and men of all generations are reflecting deeply on the progress of gender integration in the workplace. In particular, her book is a terrific rallying cry for the soon-to-graduate cohort of women who will benefit from setting the highest possible aspiration for their careers and as Sandberg suggests, “going for it.” Her “Ban Bossy” campaign is vital to keep attention on places where double standards may exist for the acceptable behaviors of boys and girls. My argument with the book is only that I think the answer of “Lean In” oversimplifies the reality of the profession-life challenge women face. Those of us who have been in the workforce for decades know that in most organizations it is never just a question of leaning out or leaning in, but rather a subtle mix of activities and attitudes that may vary day to day or even hour to hour. We may lean in at a CEO/ Board presentation in the morning – only to lean out in the afternoon at a child’s doctor appointment or school event. We may have weeks or even years where the focus needs to be on an aging parent or a soon-to-graduate teen and work hours must taper, followed by years when the balance is such that a full-throttle lean in is possible and desirable. The other critical side of the Lean In need is also the need of organizations and societies to “Lean In” to meet women (and men) half way as they seek to support complex, multi-dimensional values-driven lives. The smartest companies are realizing that when they design programs and careers in a way that dedicates this kind of flexibility and lifetime commitment to top performers, they can attract and motivate a very different level of talent and keep that talent contributing longer to their mission. Yes, women need to lean in, but organizations and societies are also responsible for creating environments that allow men and women the resources to “go for it” at work even as they make positive contributions outside of work. I do not believe an employee’s outside life should be thought of as “Leaning Out,” but rather as living a full life and in a way that can often amplify their capabilities at work. Mentoring has been essential to me in my professional and personal life. Mentoring relationship perhaps because they are driven by more personal, less structured interactions have contributed more to my learning than any other experience. My mentors have been and are men and women, professors and business leaders, experts and friends. Borrowing an approach created at GE, I have recruited and maintain a “Personal Board of Directors” that meets with me off-line to help me guide my investments in myself and in my career. This diverse group has been invaluable at challenging my thinking and pushing me to the question of “Why not you? Why can’t you accomplish your wildest dreams?” Their real-world experience has also helped me with innumerable lessons in work-life balance, creative problem solving, team management and persuasive skills. All of the key transitions in my career were driven by mentors who saw an opportunity and encouraged me to reach for it. In my view, there is nothing more important, regardless of one’s profession or aspiration, than cultivating a terrific set of mentors to serve as guides through work and life. Notably, for rising female leaders, I do not think these mentors need to be women. Instead most important is that they are people with networks and experience that extend beyond your own in the fields that you care about and that they have an energetic and long-term commitment to you and your advancement. What are your hopes for the future of CEB? CEB has an exciting future ahead. We are committed to unlocking and progressing the science and practice of management and my team specifically is focused on unlocking and progressing the science of talent management. This is particularly significant in that the dramatic changes in the work environment mean that many of the talent management solutions that worked a decade ago are no longer effective. At the same time, the market of providers – largely consultants and technology firms – has not kept pace with advances in employee behavior and organizational management. CEB sees a better way forward against the challenge of talent management and is assembling a suite of services grounded in the principles of economics and organizational behavior. We are committed to ensuring that every organization does not just have effective talent management, but rather the right talent management for its specific objectives. We are beginning to see breakthrough results from this business-specific approach and look forward to taking that to all of our operating regions and the thousands of organizations we serve. We continue to be energized by the mission of improving executives’ ability to harness both their personal and their organizations’ full potential during these challenging times. 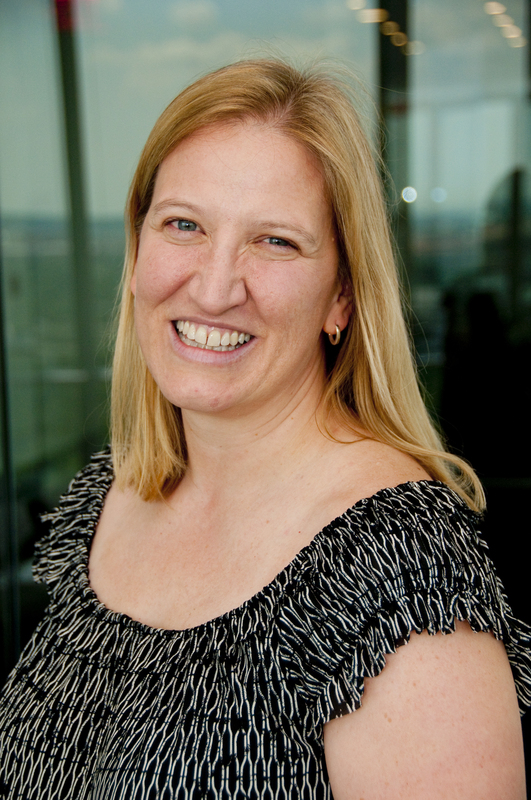 Julie-Ann Haines joined the Principality Building Society in 2007, building and developing its e-commerce offering. In 2010, she was appointed Director of IT & e-channels and at the end of 2012, promoted to Customer Director, responsible for ensuring that the Society stays well ahead of the rapidly-changing nature of its customer base. 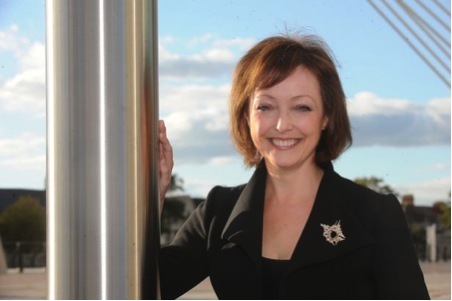 Julie-Ann’s new role saw her appointment to the Group Board. The role of Customer Director is designed to ensure a unified, consistent experience for Principality Group customers across all channels of the business, offering the right products and a service level consistent with what customers expect. 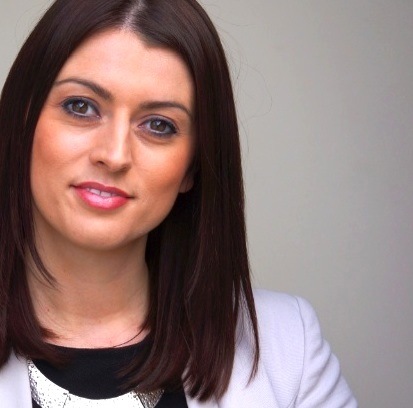 Julie-Ann is responsible for marketing, distribution and operations at the building society. 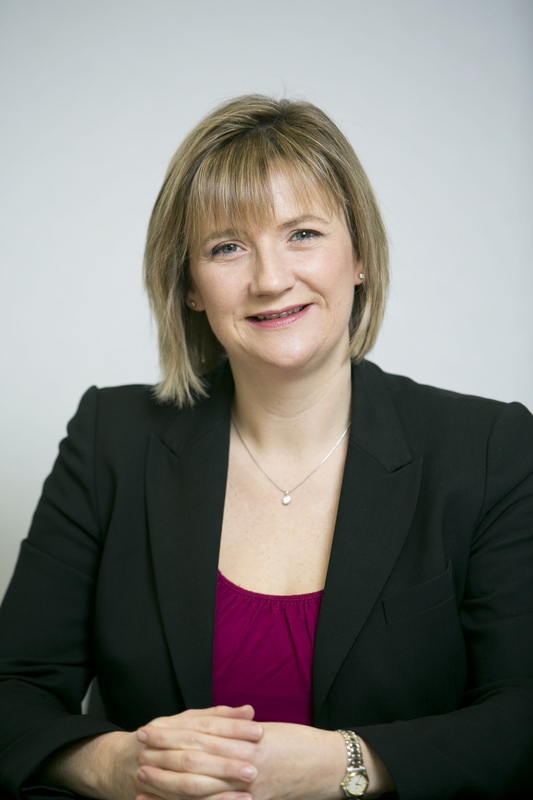 Julie-Ann is also responsible for providing a strong customer service operation that we consider to be instrumental in meeting the ambitious growth plans set out by the building society by 2017. Although, I studied Accountancy at University, I quickly came to realise through working in my father’s retail business that I much preferred customer facing roles! I went on to study my Masters in International Marketing in Scotland. I was the youngest on the course and one of only four students for the UK. Following my Masters, I started working for a subsidiary of WPP, one of the world’s largest marketing services organisation, which introduced me to the world of advertising and branding. I worked for clients such as Fords, Haagen Dazs and Laura Ashley. The work was strategic, reporting the results of customer research to clients at board level. Following that, I joined Sainsbury’s as market researcher, and then became their Fresh Food Marketing Planning Manager. I was most proud of building up the organic fresh food proposition which over-took Waitrose in market share. I relocated to Cardiff in 1998 to set up home and family. I worked in Sales and Marketing traveling across Europe, for Reckitt Benckiser, one of the world’s largest household and pharmaceutical companies. I spent more time working away from home than being at home. I had a spell at Halifax Bank of Scotland. I found the culture there was very difference. I then moved to my current organisation Principality Building Society. My first challenge was to setup the digital side of the business. I am currently responsible for all customer facing areas of the Principality, which amounts to 550 staff. I’ve learnt to be more of a risk taker, the older I get the more confident I am. Creating self-belief is a challenge for many women. I’ve always been quite strategic, big picture thinking. I worked in my Dad’s business from 11 years of age. Being the boss’s daughter, I didn’t wanted staff to think I was there to make up the numbers so I set the example. This very much framed my business values. My business values have always been the same:- good work ethic, the more you put in the more you get out. 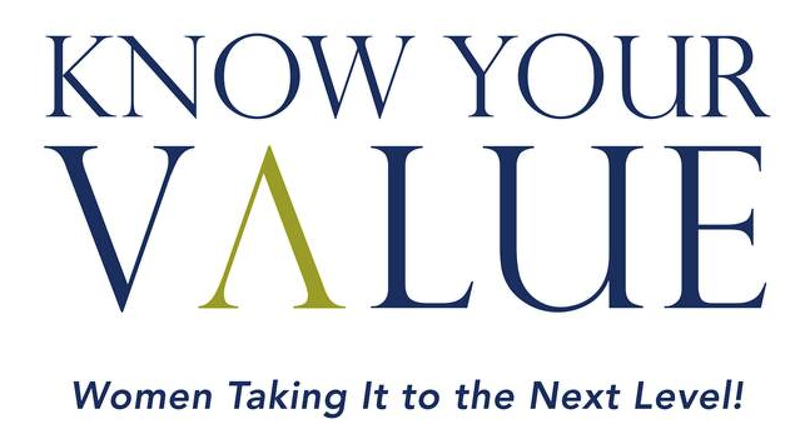 I very much value that in others and focussing on creating long-term value by focussing on the needs of others . What have the highlights and challenges been during your time at Principality? My biggest highlights to date has been winning the Best Internet Saving Account at the Money Facts Awards 2013. In terms of challenge, it has to be balancing home and work commitments. What characteristics do you think are vital to be a good leader? Have courage, be a good listener and be prepared to make decisions and make mistakes. I feel there is still some subconscious discrimination. The politics of the organisation, the way ‘stuff gets done’ requires women to change their style to ensure they have the impact they need to have. I’ve had mentoring from senior colleagues. It’s very helpful as it allows you the time to think in a very safe environment and to test some of your initial thoughts. It has to be my Dad. I so admire his braveness. Although millennial women are seen as better job candidates and better prepared for their first jobs out of college, men are still viewed as better prepared for success in their careers overall, according to survey data released earlier this month by Bentley University that asked respondents for their views about recent college graduates. The survey underscores the need to address out of date perceptions that remain despite positive views on women in the workplace, and other perception-based barriers that prevent millennial women from advancing within their organizations. The results are part of the Bentley Preparedness Survey, conducted on the University’s behalf by KRC Research, which surveyed more than 3,000 respondents on the “why, what and how” behind the millennial generation’s challenges in the 21st century workforce. A key area covered in the survey is the perception of career preparedness and advancement of women in the workplace compared to men. By a margin of 59 percent to 41 percent, respondents consider women to be better prepared than men for success in their first jobs. But respondents give the edge to men over their entire careers, 53 percent to 47 percent, reinforcing the idea that perceptions, not necessarily skills, still play a key role in whether women and men have equal opportunities in their professional lives. • More than 8 in 10 respondents (82%) – including 76% of men – believe women are better suited for business success in terms of their communication and interpersonal skills. And 86% of respondents (including 76% of men) rate women higher in terms of their organizational skills. • However, 64% of respondents, including a majority of women, say men are better suited to business success in terms of their leadership abilities, which may help explain why respondents view men as better prepared for success over their entire careers. • The one area where respondents split along gender lines is decision-making skills: 62% of women say that women are better suited for success in terms of their decision-making skills, while 63% of men believe the same to be true of men. • Encouragingly, millennial women have great confidence in women’s skills and abilities. A full 92% of millennial women believe that women’s organizational skills are superior to men’s. And 84% believe that women’s communications and interpersonal skills are superior to men’s – skills that the Bentley Preparedness Survey showed to be highly valued by business leaders. The survey examined potential solutions for preparing millennial college graduates, both men and women, for success not just in their first jobs after college, but throughout their careers. It found that all stakeholders – parents, business leaders, colleges and universities, high school and college students, and recent college graduates – can play a stronger role in encouraging millennial women to pursue business careers and help remove obstacles that prevent them from rising through the ranks. Bentley’s Center for Women and Business works to identify solutions to help women reach positions of leadership. Most recently, the CWB joined forces with Massachusetts Governor Deval Patrick to develop a fellowship program that places graduate-level women in paid positions in state government while also providing leadership training and networking opportunities. To learn more about the Bentley Preparedness Survey’s findings on women in business, visit The PreparedU Project. To learn more about the main findings from the survey visit The PreparedU Project launch. 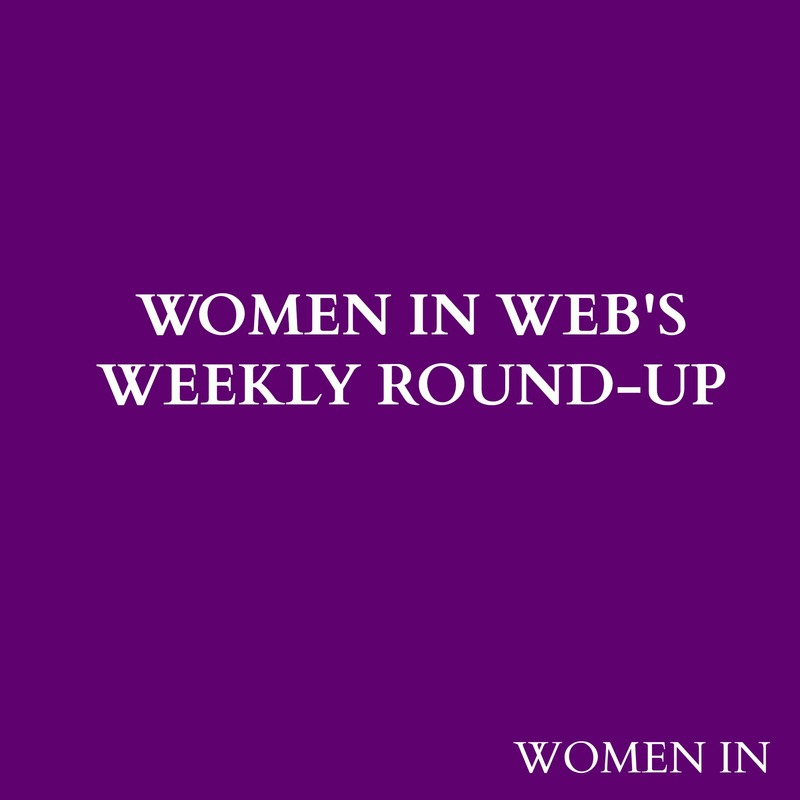 Welcome to our weekly round-up of what’s been happening in the world of Women In Web. This week, I was honored to feature an exclusive Q&A with Washington D.C. based writer, interviewer, broadcaster, photographer and public speaker, Carol Ross Joynt. As a writer and journalist, Carol’s career is one that inspires me, and it was fascinating to speak to her about her professional work as a ‘news outlier’ and her time as a producer for programs including The Charlie Rose Show and Larry King Live. Equally as fascinating is Carol’s insight into her life following the death of her husband in 1997, and her subsequent fight with the IRS to gain ‘innocent spouse’ status due to tax fraud by her late husband. Carol inherited the landmark Georgetown restaurant Nathans, and it was here that she created the fantastic Q&A Café. Nathans closed in 2009 and the Q&A Café is now held at The George Town Club and you can watch some of Carol’s fascinating interviews with some of Washington’s most notable individuals here. If her Q&A isn’t already fascinating enough Carol is generously giving away a signed copy of her memoir Innocent Spouse for one lucky reader! To read the Q&A and enter the giveaway click here. We also had the pleasure this week of interviewing Manon Antoniazzi, CEO of Visit Wales. Manon has had a distinguished career, working at institutions including the National Assembly for Wales, BBC Wales and for HRH The Prince of Wales. To find out more about Manon’s work and why you should visit Wales click here. We’re thrilled to be partnering with Mightybell as one of our Advocates. Keep your eyes peeled for great Mightybell news and features with individuals that use their community. Single, female and under 30? You’re the top choice for a job abroad. 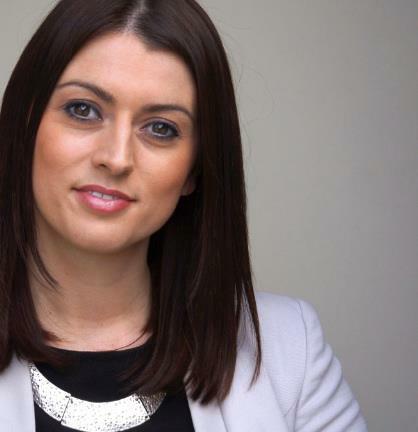 Women are on boards at all FTSE 100 manufacturing firms. Jill Abramson’s firing shows women that we still must be more than good.